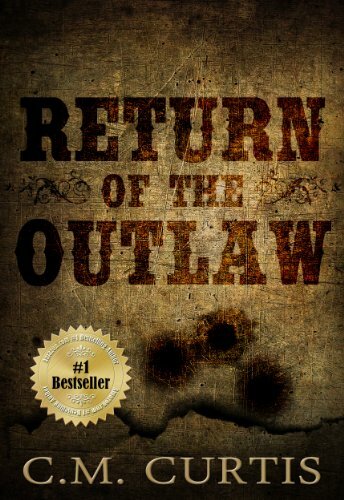 Jeff Havens is not a man who hunts trouble, but he doesn’t back away from it either, and the ruthless outlaws who have stolen everything he ever cared about and made him a wanted man are about to find that out. When Havens returns from the war, he has had enough of fighting. He’s ready to settle down and marry Anne, the girl he has loved since childhood. But he finds that things have changed at home. They’ve stolen his land, killed his friends and convinced his woman that he is a murderer. And there is nothing waiting for him but enemies and a wanted poster with his name on it. But Havens is a hard man, toughened by a brutal war and a life spent on the frontier. When he fights, he fights to win. And now, if he is to save Anne and regain what is his, he will have to fight as he never has before. They have branded him an outlaw, accusing him of the very crimes they have committed, but they’re about to learn that taking everything away from him has turned Havens into the most dangerous kind of man there is: The kind that has nothing left to lose. Jeff Havens has a fast gun and a long memory–and he’s back!